With this motive, Team LetsNurture ensures that best business practices are inculcated in the organization to foster the teamwork. And to enhance the team building, the employees of LetsNurture attended an interactive session at Ahmedabad Management Association (AMA). AMA is a reputed organization that has proved to be an active base to empower leadership through various discussion meetings, management development programmes, industry visits, publication etc. Team building brings the individuals to collaborate for their ask, making it easier for them to enjoy their job. Team Building improves the relations and strengthen the bond among the employees. Teamwork reduce the chances of uncertainty and misunderstandings to make the communication more effective. Working as a collaborative team member is not a skill that everyone is born with. However, it is a skill that can be learned, which is why it is imperative that the organization spend the money investing in the employee’s teamwork skills. Team building in the workplace significantly contributes towards employee motivation and building trust among the employees, hence, ensuring better productivity. Organisations are much more likely to perform well when their people work effectively as a team. Self managed, empowered teams produce up to three times more output than conventional hierarchical set ups. The participants from vivid industries were free for an open discussion. Many small team building activities were carried out to understand the importance of a team building. 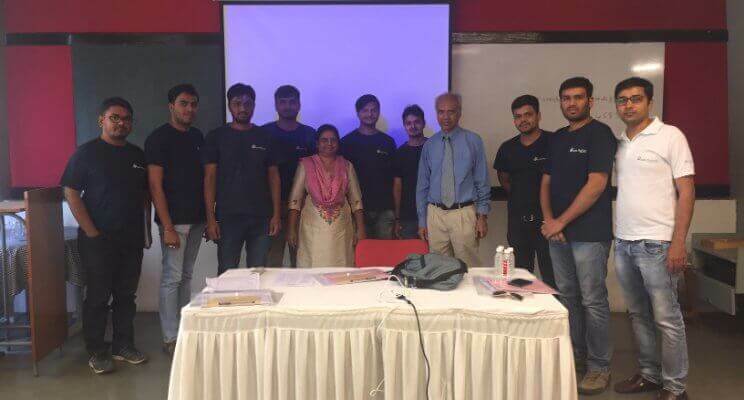 LetsNurture consistently nurture our employees by encouraging them to participate in technical, managerial and soft skills improvement sessions. We treat our employees as an important asset of the organization.